Ibrahim is the Managing Director of Portland Design. Based in London and established in 1987, Portland is part of the global Perkins + Will architecture and design network. Portland is a leading international branding and retail design business and works on a broad range of projects including retail, F&B, consumer brands, shopping centres, airports, train stations, mixed use developments and urban regeneration Portland’s understanding of consumers’ relationship with brands and their engagement with branded physical and digital environments lies at the heart of their work. This understanding is built through research and insights on the issues that drive future customer expectations. Portland places great emphasis on ‘future proofing’ the customer offer. Ibrahim originally trained as an aeronautical engineer and is a post graduate of the Royal College of Art and Imperial College London and a Fellow of the Royal Society of Arts. He is a regular speaker at conferences and a frequent contributor to journals and trade press. He has written regular pieces for The Economist ‘Insights’. Ibrahim will explore how consumers’ relationships with brands are changing and how this will impact their shopping behavior. The presentation will describe the four pillars of success that the future winners in retail will need to adopt and how this will shape the new notion of the shop. Retailers and brands will need to get ‘future-ready’ to respond to the rapidly changing consumer landscape. 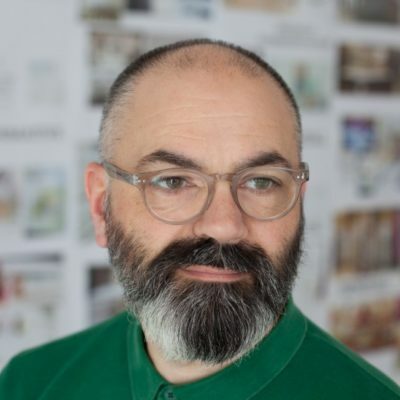 During his 29 years in design consultancy he has worked with clients globally including Mondelez, Nestle, Diageo, Albert Heijn, Bugaboo, Pernod Ricard, Le Pain Quotidien, CNN, SSP, Heathrow Airport, Schiphol Airport, Dubai Airport, TfL, Inter Ikea, ECE, Corio, Hammerson, Mubadala, Nakheel, TDIC, JAFZA, Westfield, British Land, Coach, Lagardère, Wolford, David Clulow, Selfidges, Harrods, Luxottica, Travelex, Arcadia, ADNOC. Ibrahim has two children and when he is not overseeing the ‘ideas-fuelled’ environment at Portland he is normally with his family, mountain biking, making furniture or managing a woodland whilst riding his tractor!